So, it's starting to sound like Cyberpunk 2077 will be at E3 2018 in a big way. At this point the game is all but confirmed to be there, and the general assumption is that it'll appear at one of the big press conferences. It's very likely that the title's re-reveal will end up being our first proper look at CD Projekt Red's highly anticipated role-playing release. But there may be more to it than that -- a lot more. Back in January, a rumour surfaced stating that Cyberpunk 2077 would be getting a live demo behind closed doors at this year's E3, and now new evidence seems to be solidifying this claim. According to Everyeye.it editor Francesco Fossetti, he'll be attending an hour-long presentation hosted by CD Project Red at E3 2018. This suggests that the developer has a lot to show off-stage, away from the eyes of the public. What's more, this is similar to how the studio steadily unveiled The Witcher 3 leading up to its release in 2015. Does that mean the rest of us get to see this presentation? Going by the evidence on offer, it seems unlikely, but this could mean that previews and more in-depth information isn't far away. 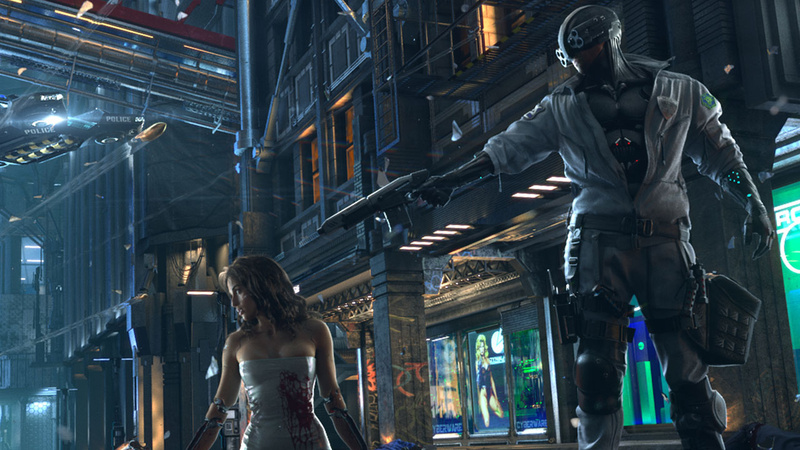 In any case, we're just looking forward to seeing what Cyberpunk 2077 is all about. Let us know if you're equally excited in the comments section below. Still be interesting to actually see what this game is. Cant help but think they showed this too soon. Id have let Witcher settle first. Witcher has been out for a while? I'm eager to see this in action though. Very blade runner-ish. I'll sit up and listen to anybody who's got more information on this game, sure. Shame it's all behind closed doors for press only, but if it's how they do it, it's how they do it. Of course I am excited to hear more about their new game. I'll probably watch some to get a better idea of what the game is, but I doubt I'll watch the whole thing. I want to minimize spoilers as much as possible. @ShogunRok What are the chances we can get one of you guys in there with a spy camera? @Octane We've already got a better plan. It involves a robotic Geoff Keighley that we've spent the last decade developing. The ultimate insider. Not played any Witcher games, but the cyberpunk flavor of this seems really cool. Looking forward to hearing more about it. I KNEW THIS WAS GOING TO HAPPEN!!!! Still haven't got my invite. I guess CD Projekt Red have mislaind my contact details. This happens all the time with publishers and studios. I'll send 'em to them again, alongside some toe nail clippings and used socks. Hoping for a nice gritty Cyberpunk adventure, filled with lots of side stories and a huge overarching plot of conspiracy. Nearest we've had to this in recent years is Deus Ex, so really interested to see what CDPR can do after the incredible detail in Witcher 3. Well as long as we get some idea of what it actually is, I'll be happy. I've heard it's an FPS. I'm not against that, but the mechanics would need to be solid. Not like W3 where the combat just felt wonky. @ShadowWarrior that would be such a coup if MS managed to pull that off. But yeah, nah, not happening. @YummyHappyPills The Witch 3 settle first? It's 3 years old with 2 DLCs. And I don't think anyone cares if it's on the XBox stage or not as it will be released on both systems. Let's just see the game stuff. @ShogunRok So, it's just Geoff Keighley? @starhops I'm fairly confident they were talking about how the game was announced in 2012. @starhops Yeah, yet Cyberpunk was announced in 2012. Witcher 3 came out in 2015. 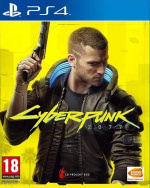 Id have let Witcher come out, then announce Cyberpunk, not the other way around. And my Xbox comment was about them touting their biggest E3 ever yet they have very few games. @YummyHappyPills It wasn't showing something too soon over something else, but changing direction and creating The Witcher 3 instead. They admitted this change of direction. Seems it paid off. @starhops I wasn't aware Witcher 3 was a "Change in direction". Thanks for the info. Im so excited for this! Every time I hear the name Cyberpunk 2077 i see that first reveal trailer again in my head and hear the music. Reality sets in and I remind myself it could still be a year or two before it goes on sale.